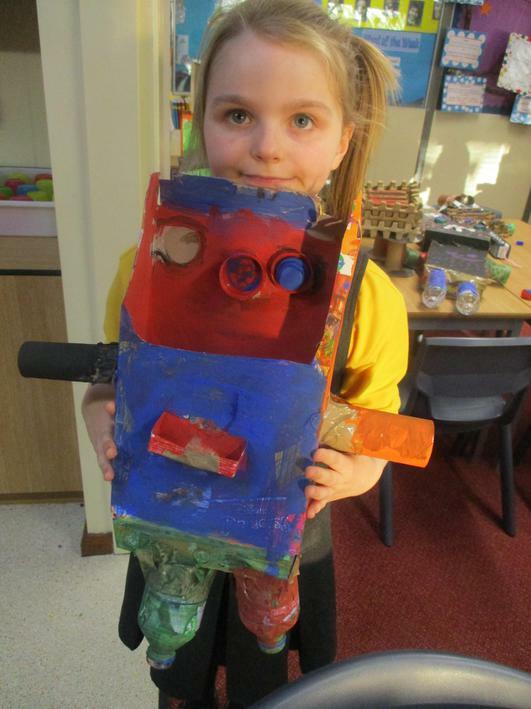 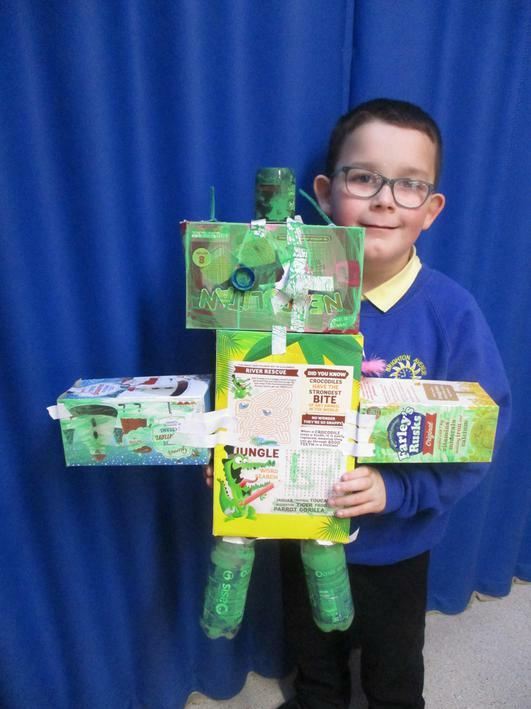 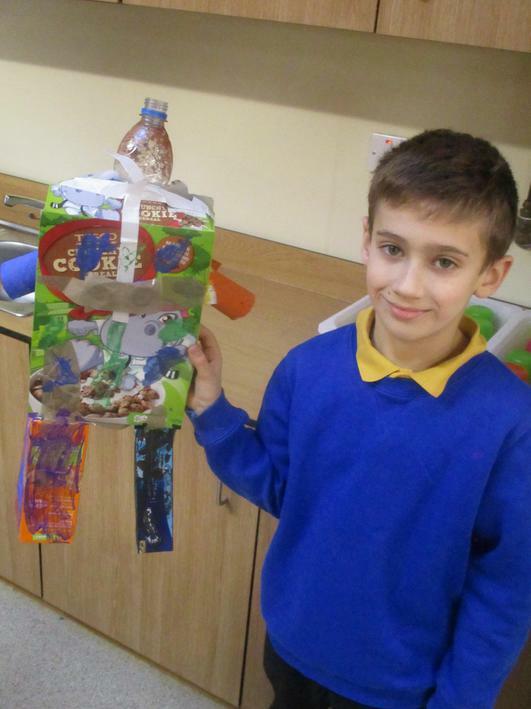 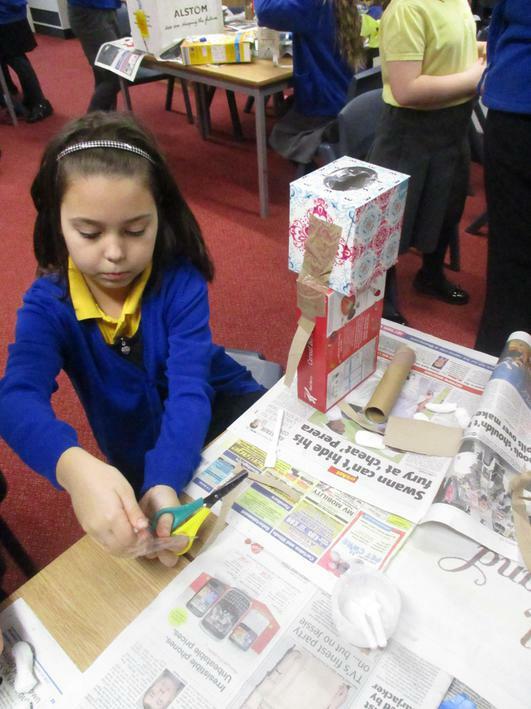 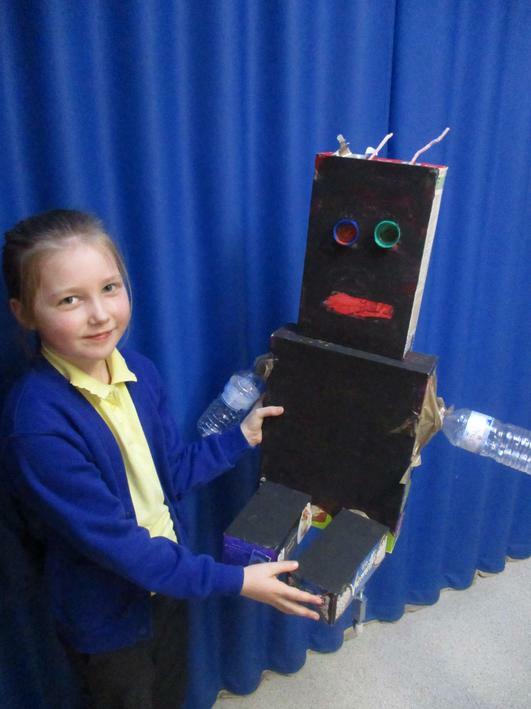 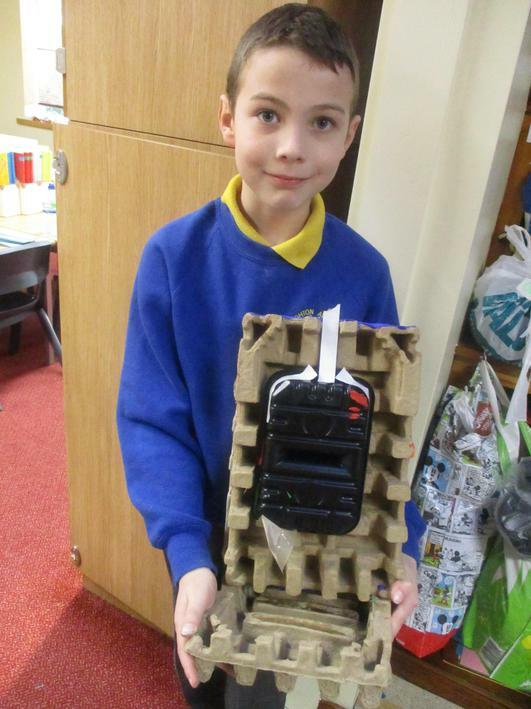 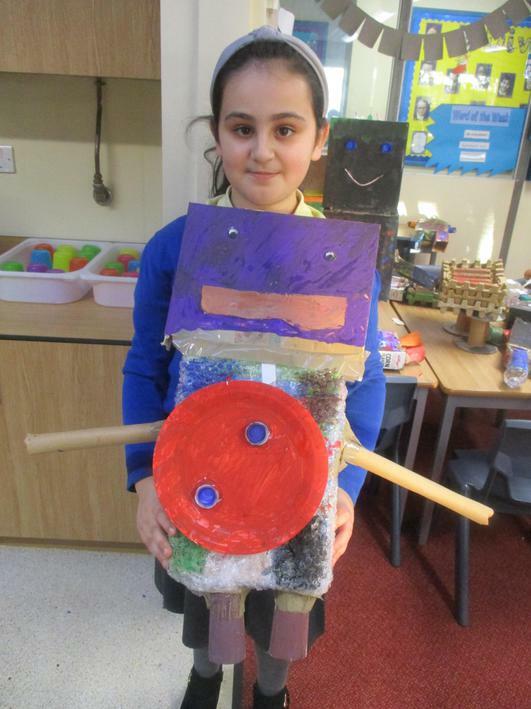 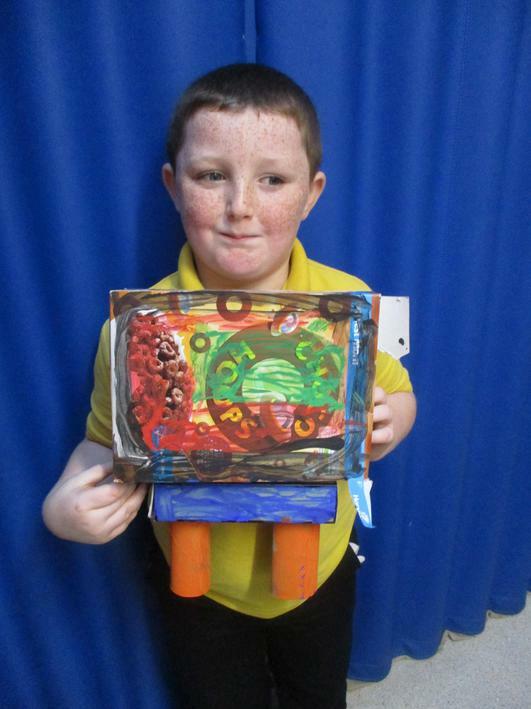 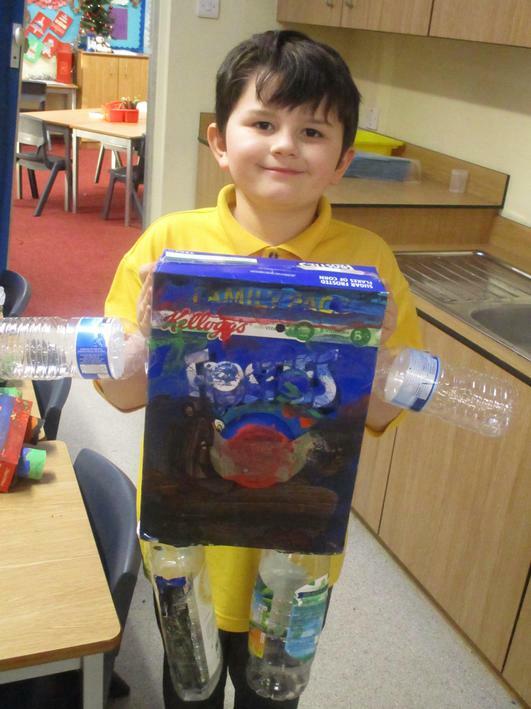 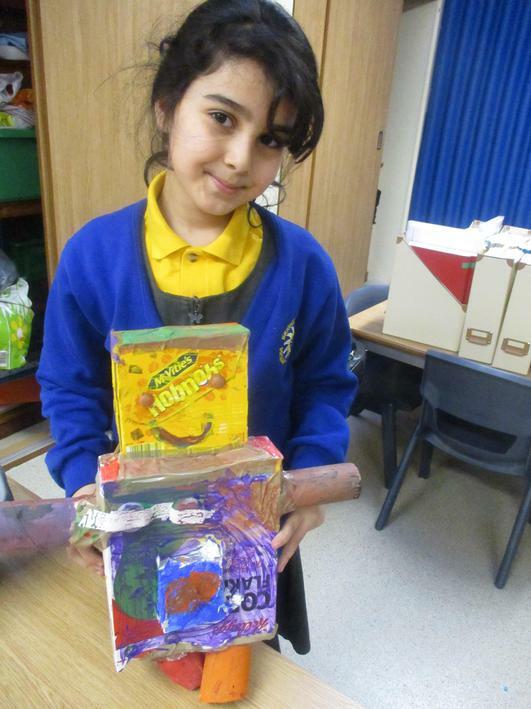 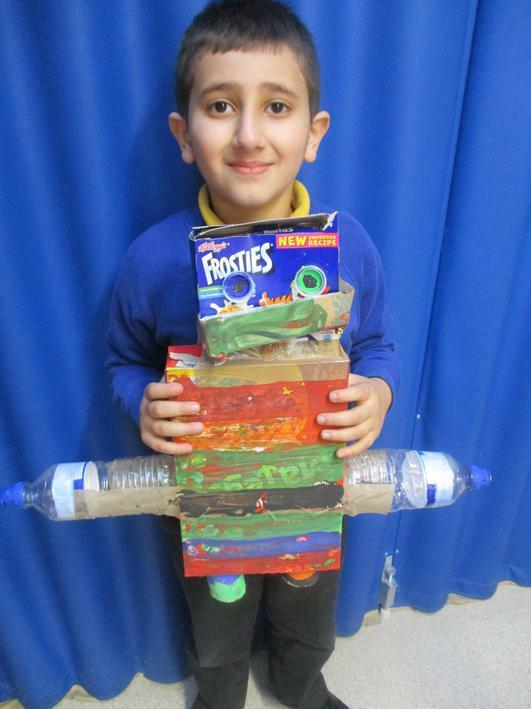 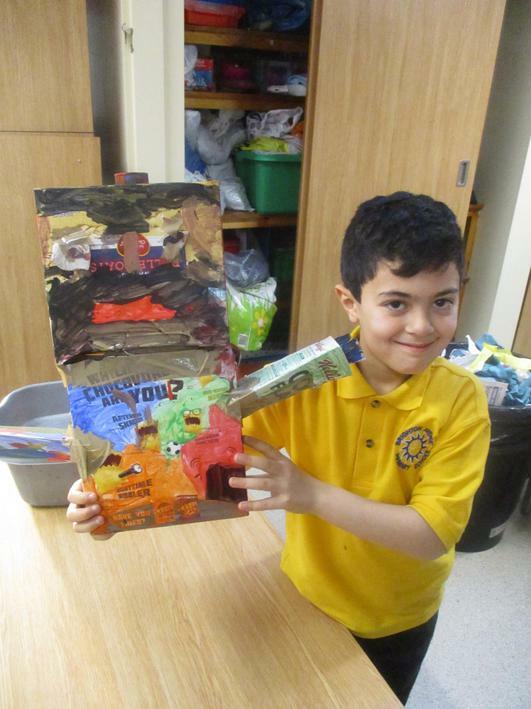 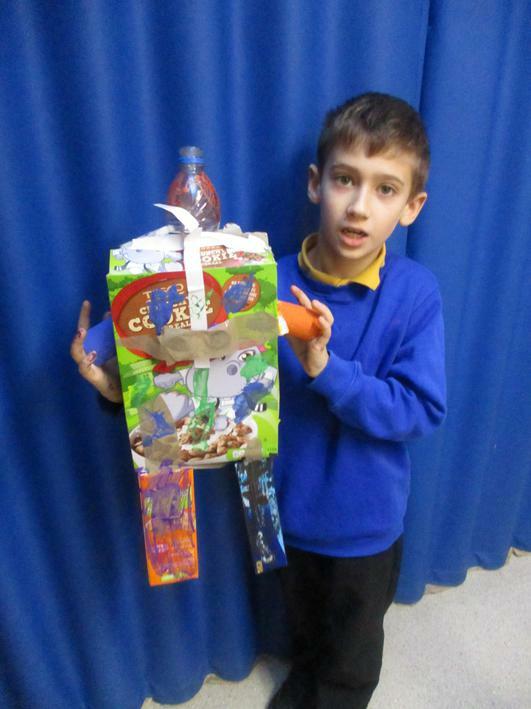 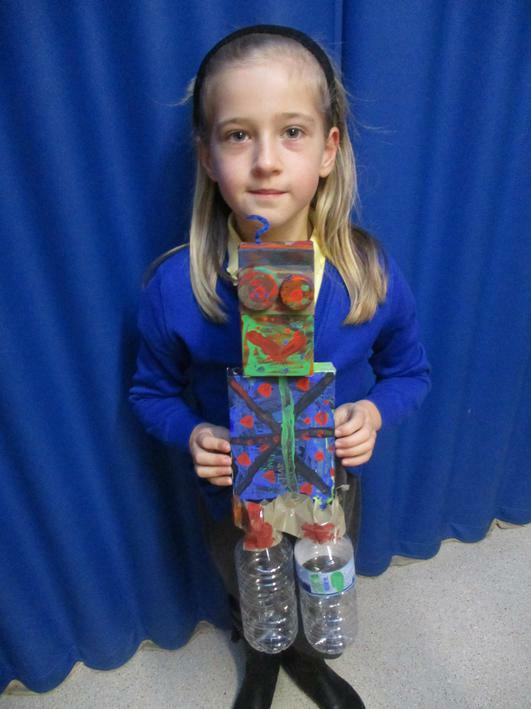 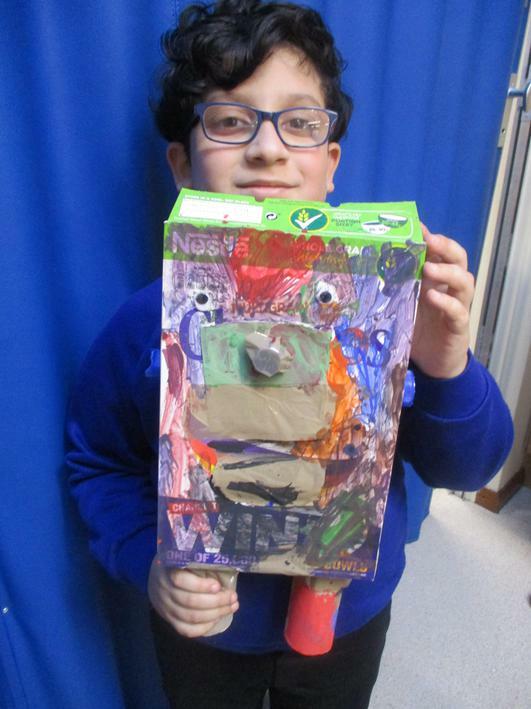 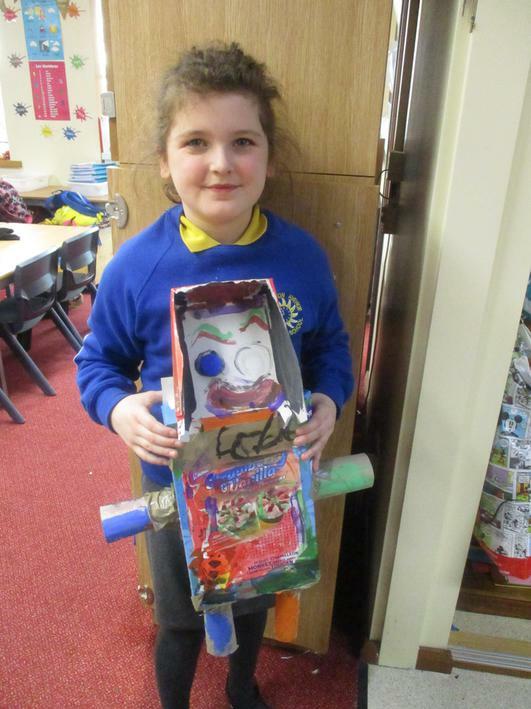 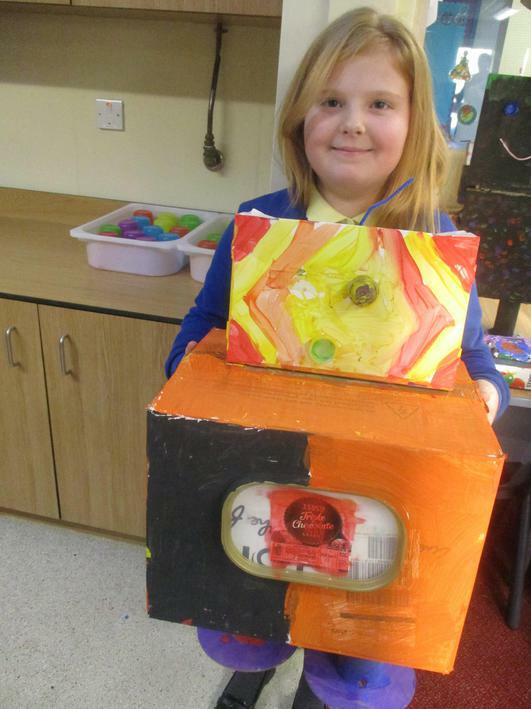 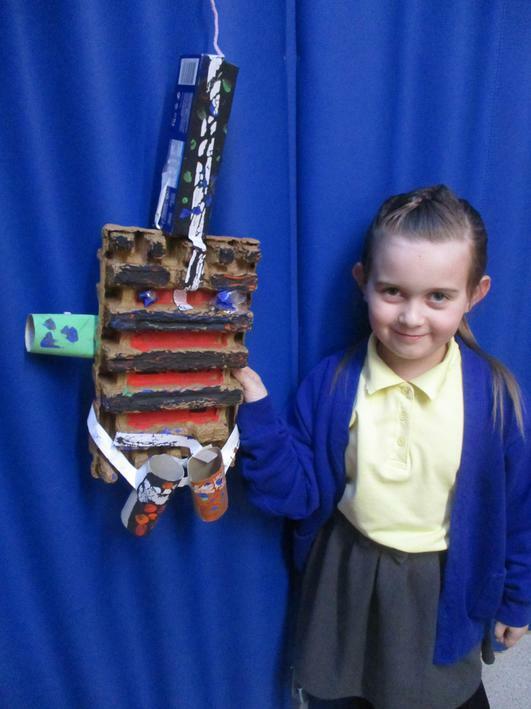 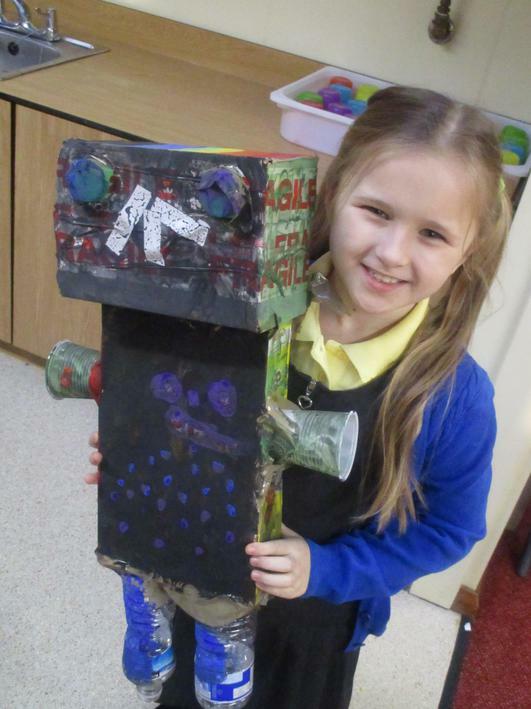 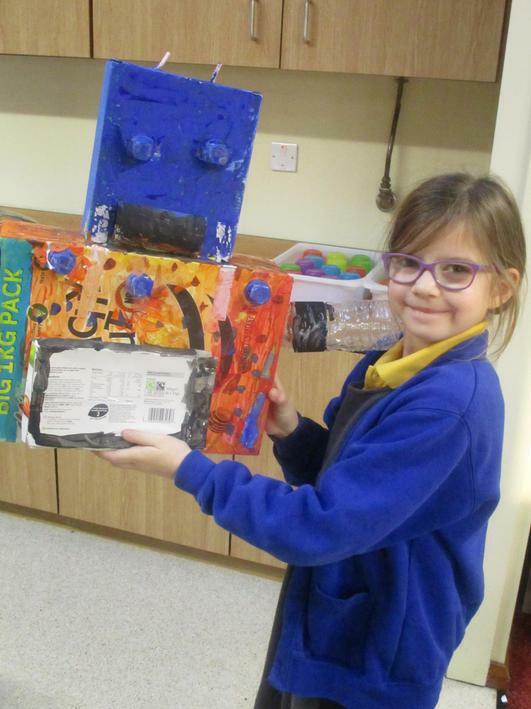 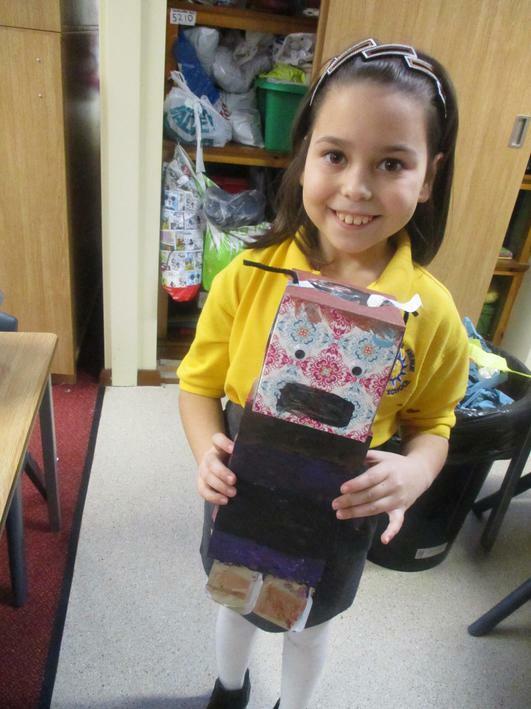 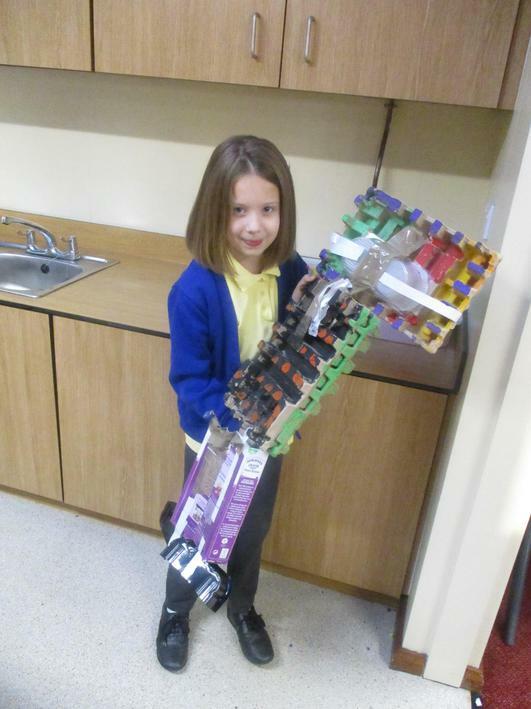 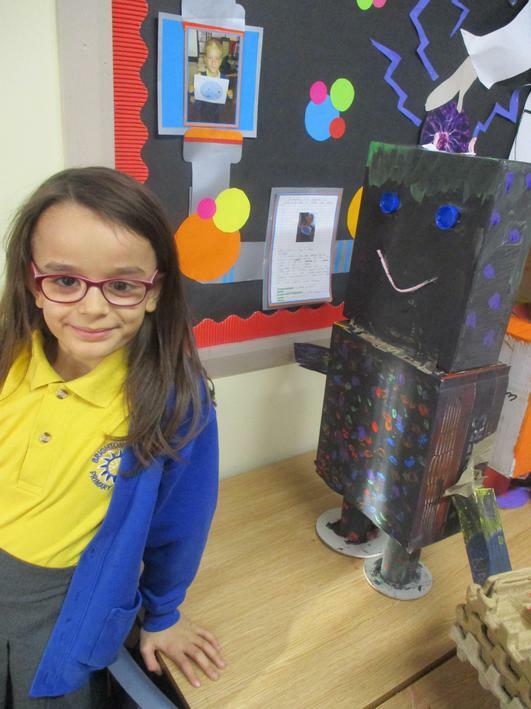 In Year 3/4B, we have been working really hard to design and make a robot. 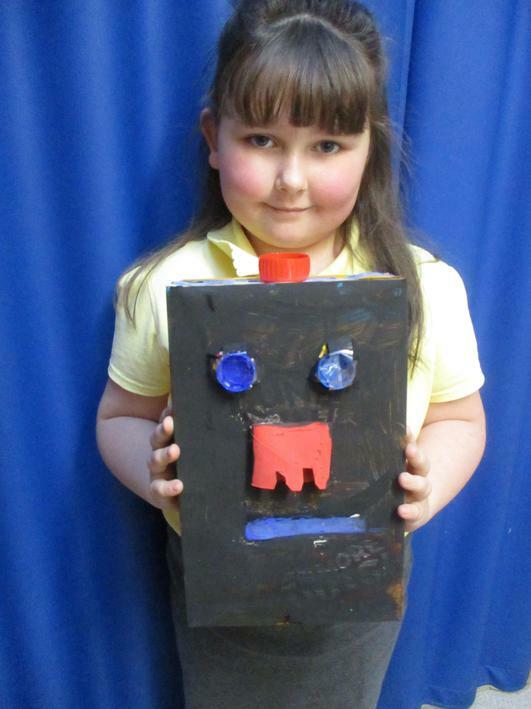 Firstly, they began with researching different robots from the past and what different purposes they were used for. 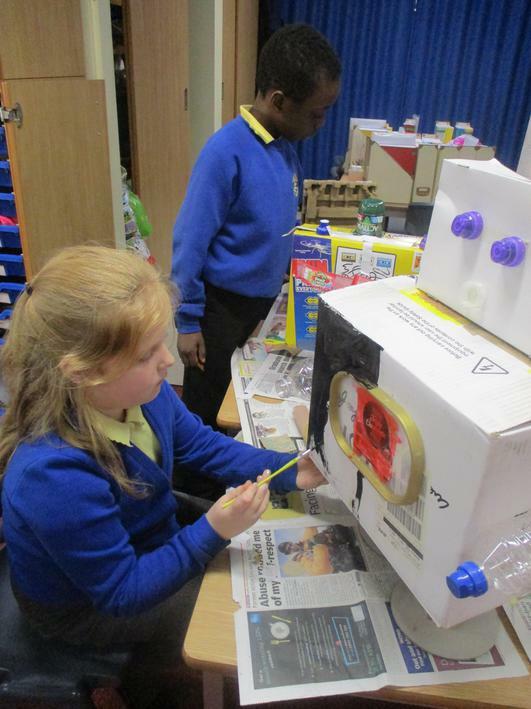 Once they had done this, they carefully drew three different robots and labelled them thinking carefully about the design features. 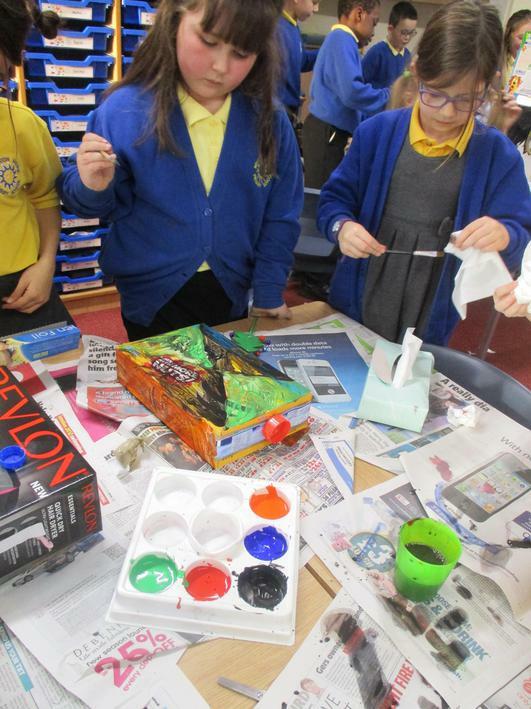 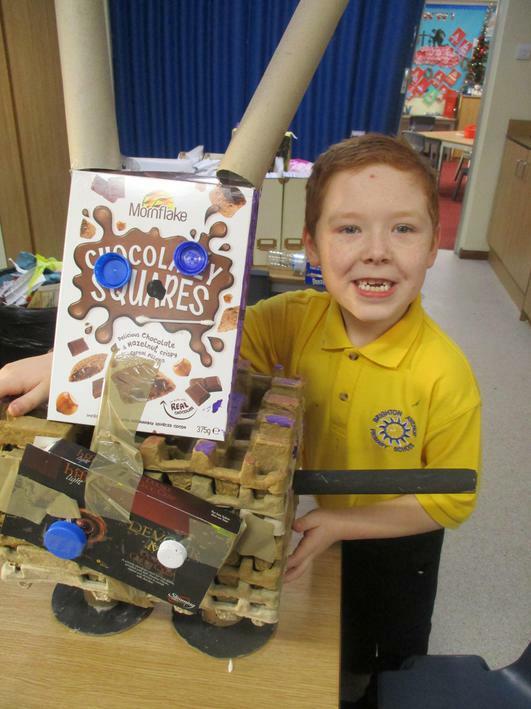 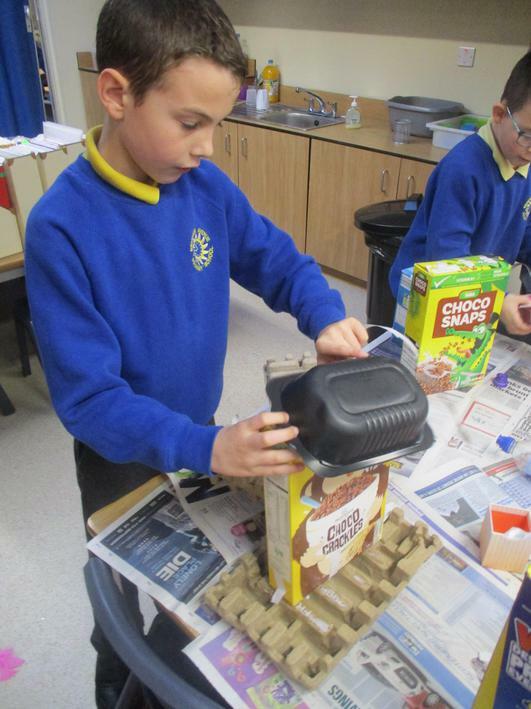 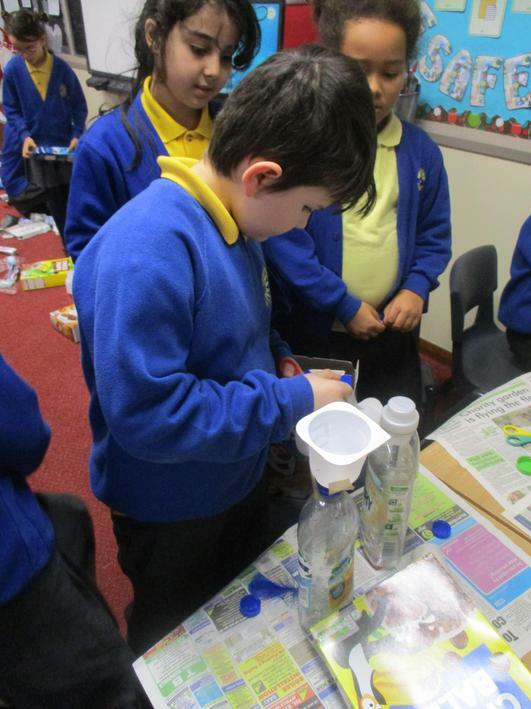 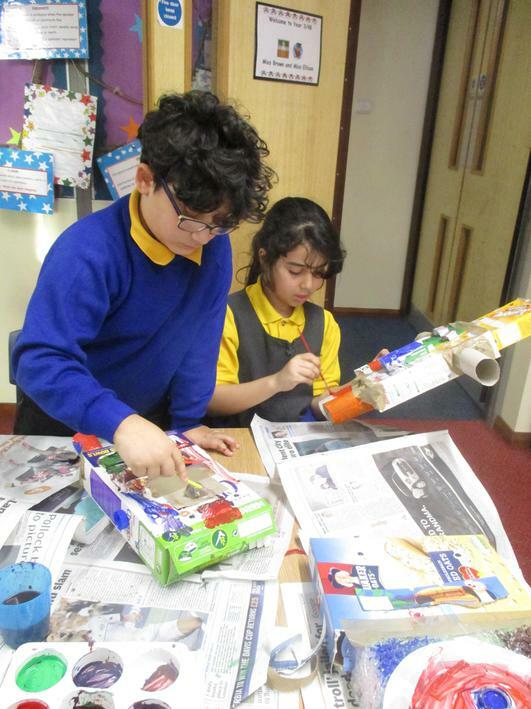 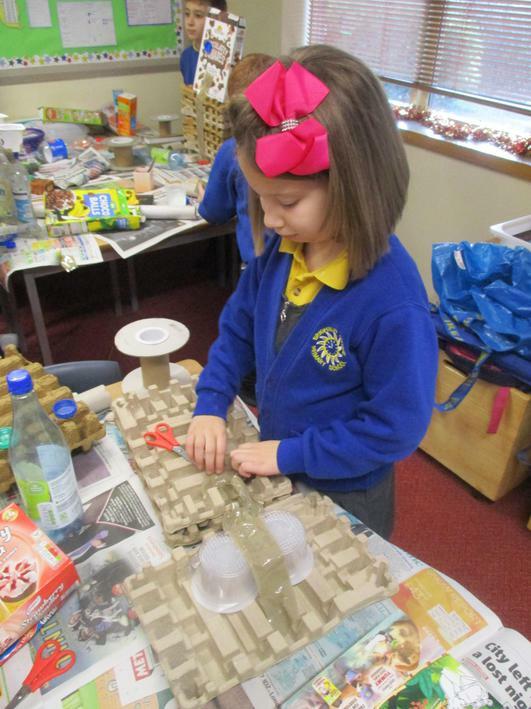 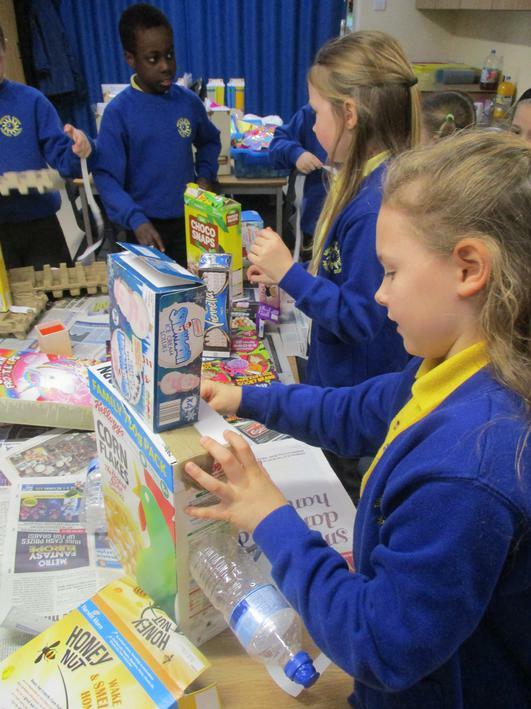 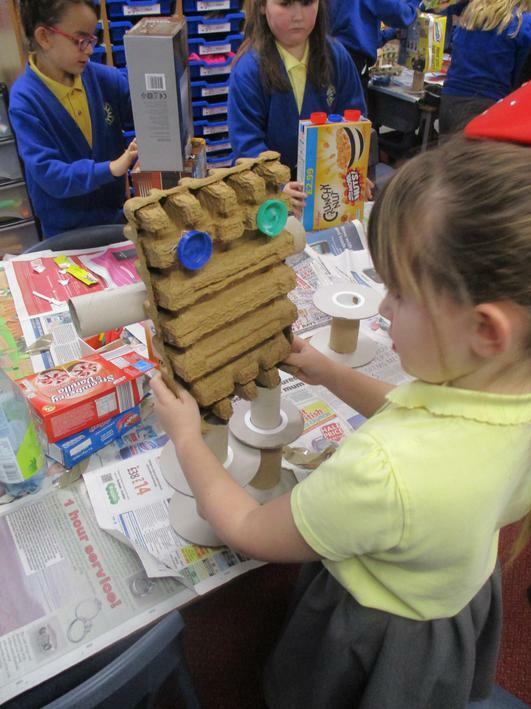 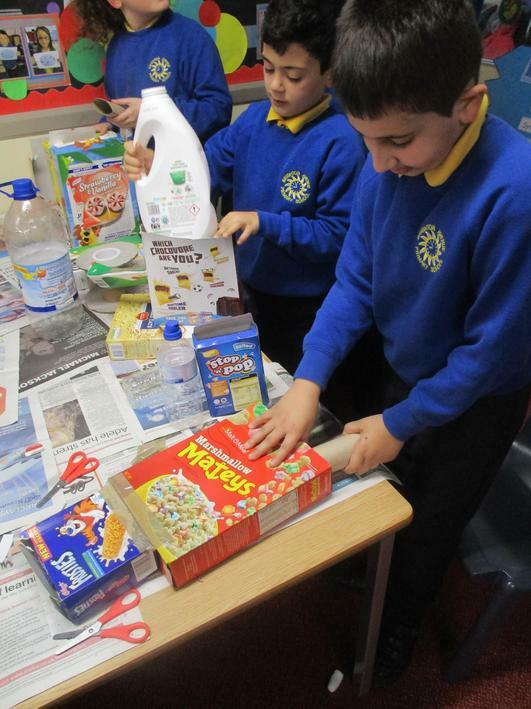 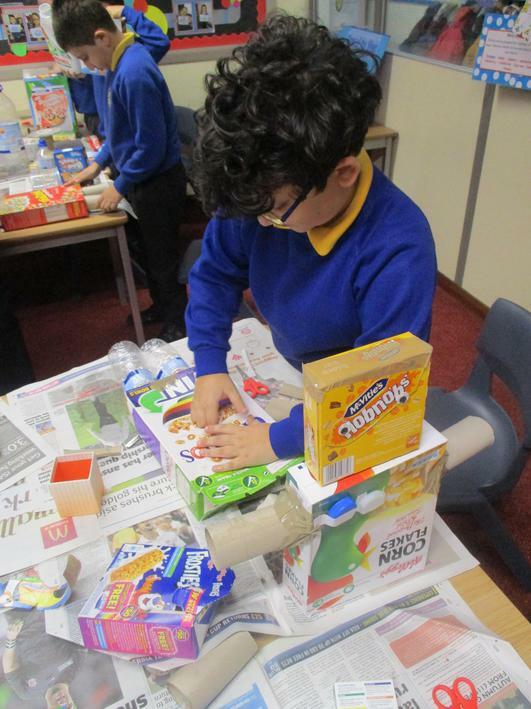 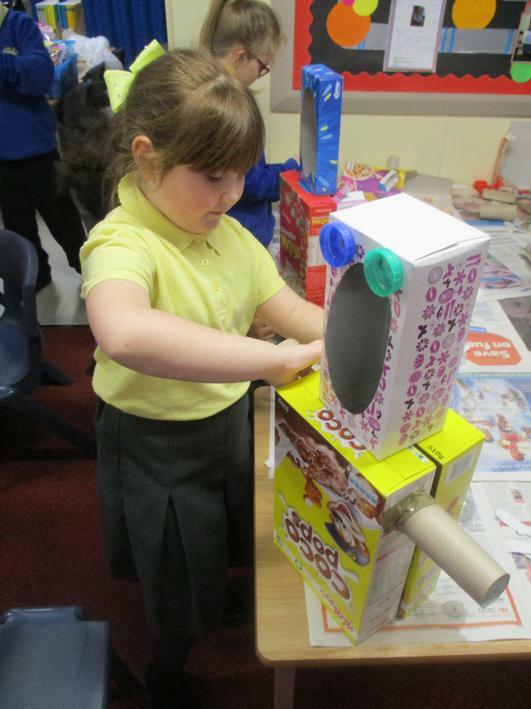 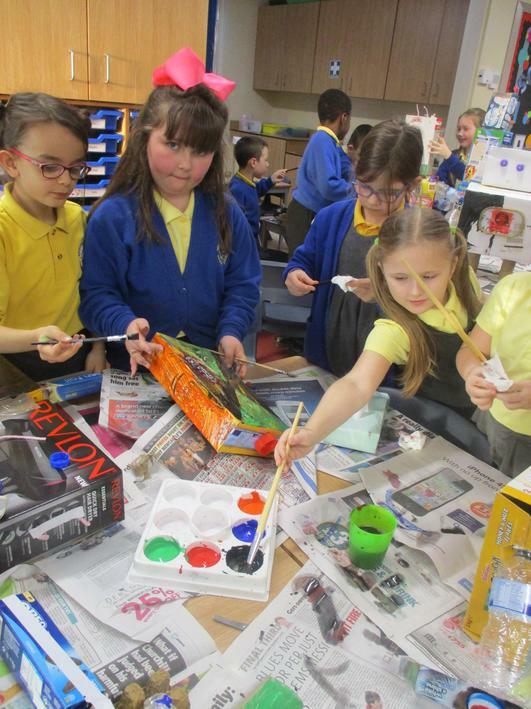 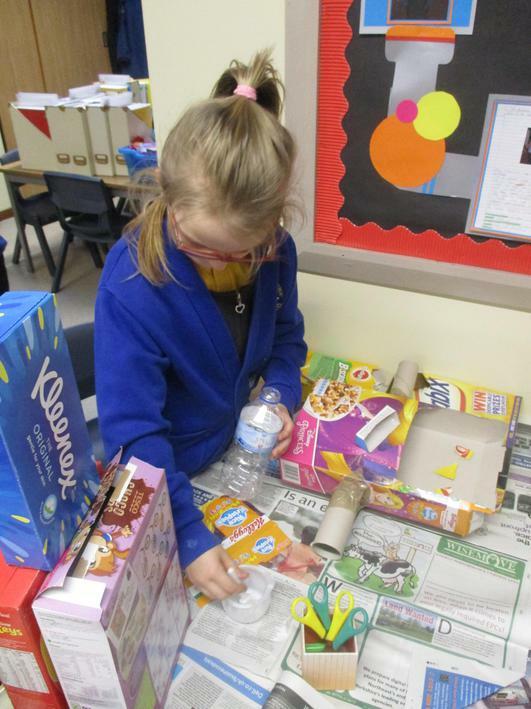 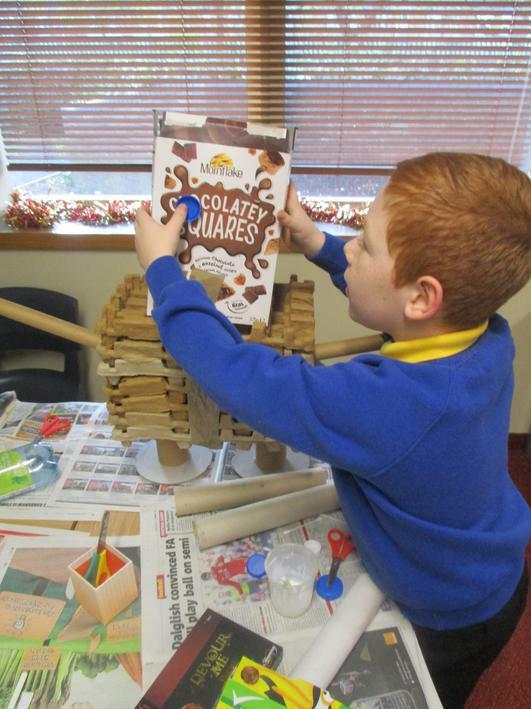 Then, the children began investigating what different materials had been used to make the robots and what they thought were essential for their design. 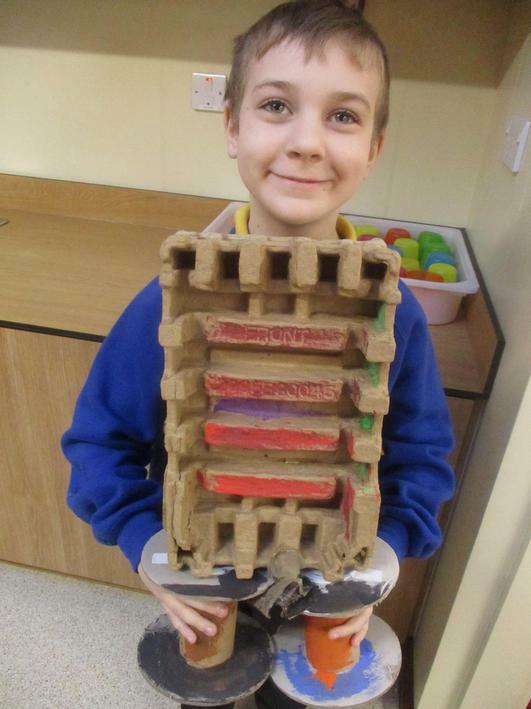 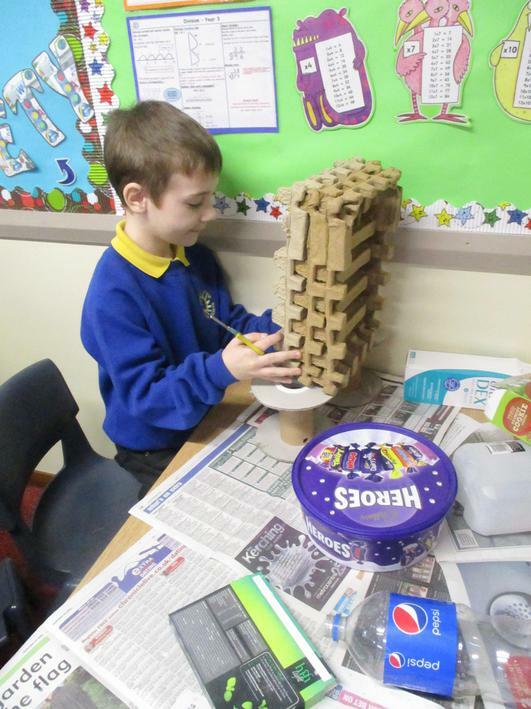 Next, the children had the opportunity to begin testing different materials to see whether they were durable and investigated a wide range of different joining techniques. 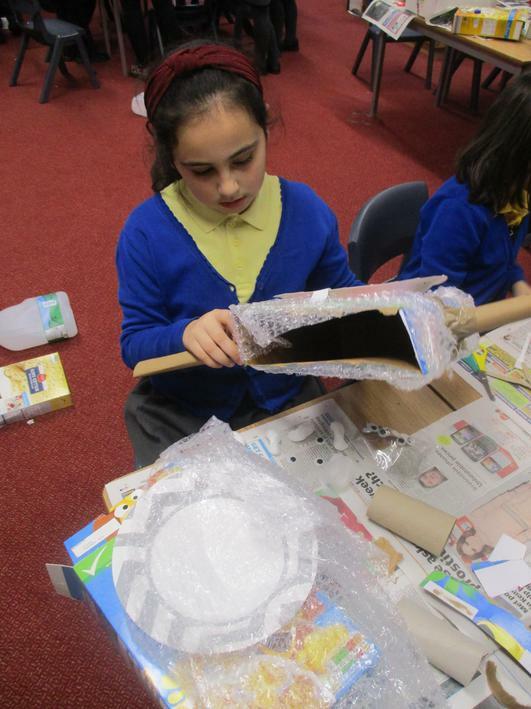 After this, the children then drew and labelled three design ideas and chose their favourite for their final design. 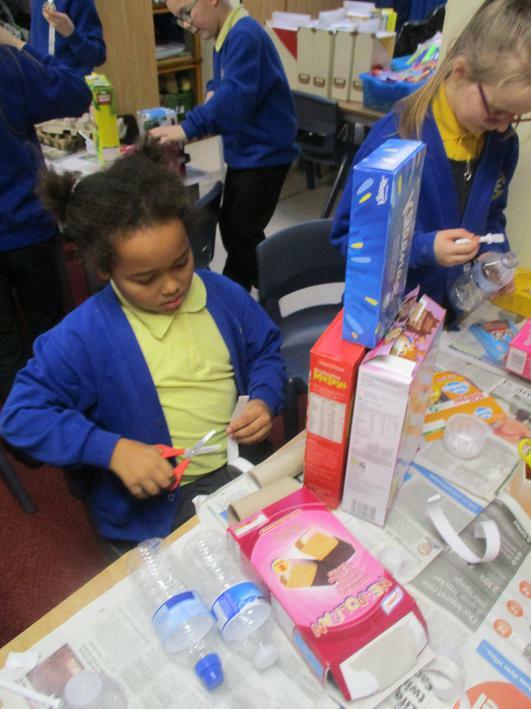 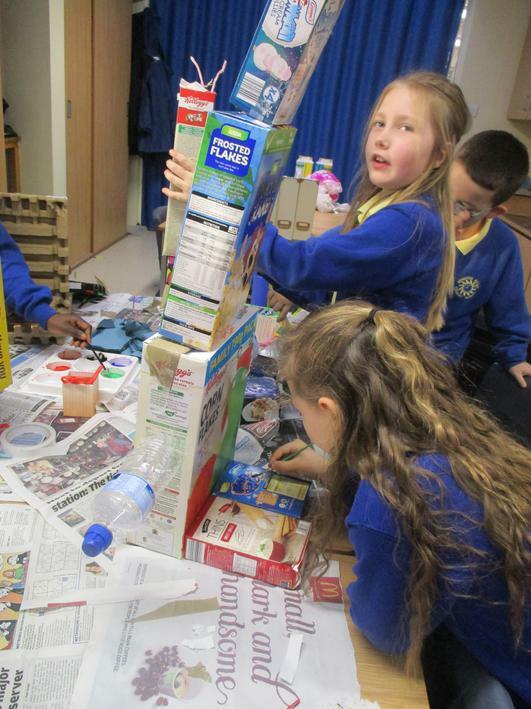 Once they had completed this, they thought carefully about which materials and equipment they would use to help them create their design. 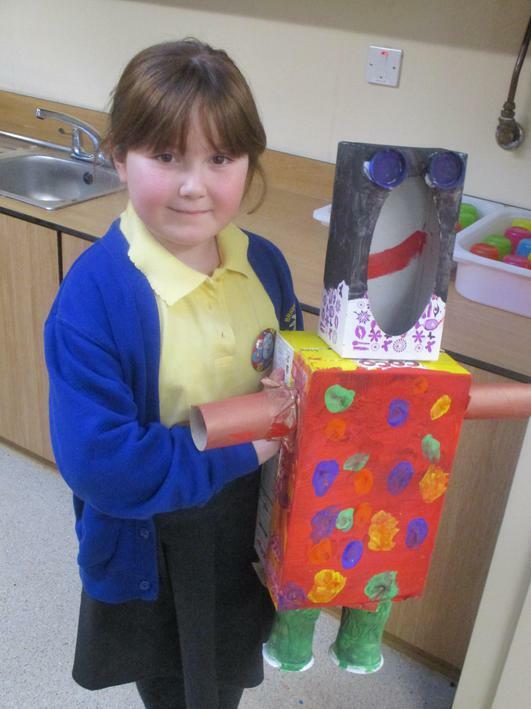 Finally, the children had the opportunity to make their robot and evaluated their design against the original criteria. 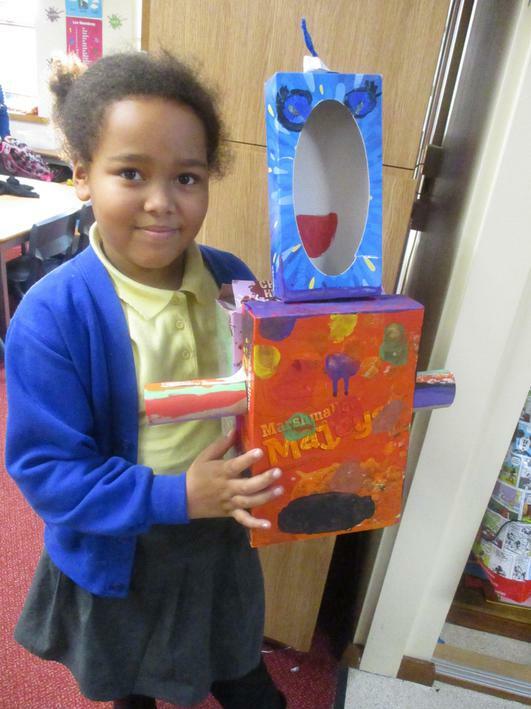 As you can see, the children all had a lot of fun and the classroom was turned into a robot exhibition. 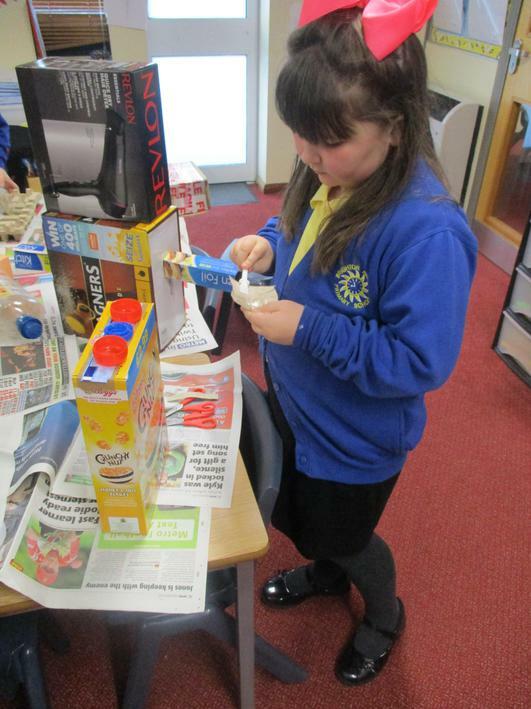 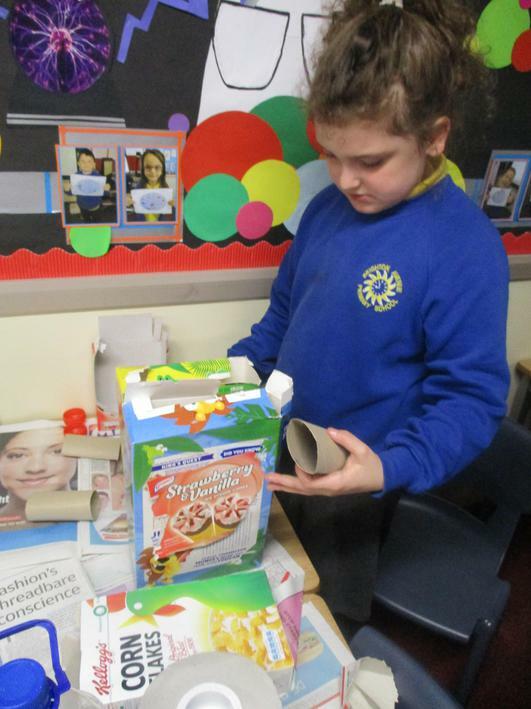 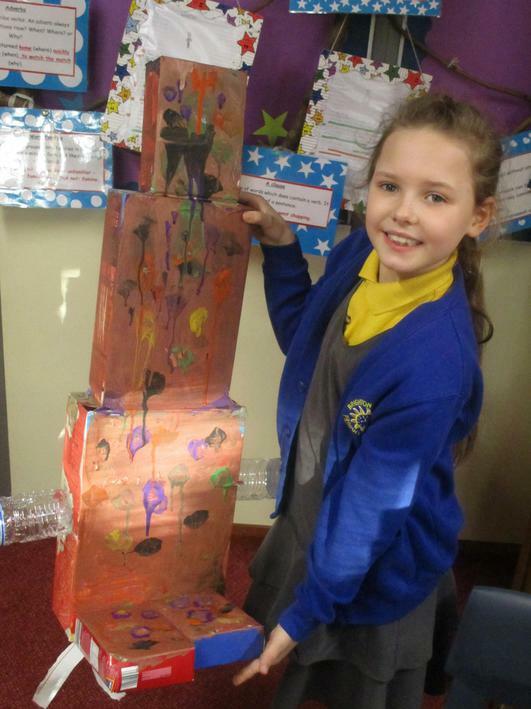 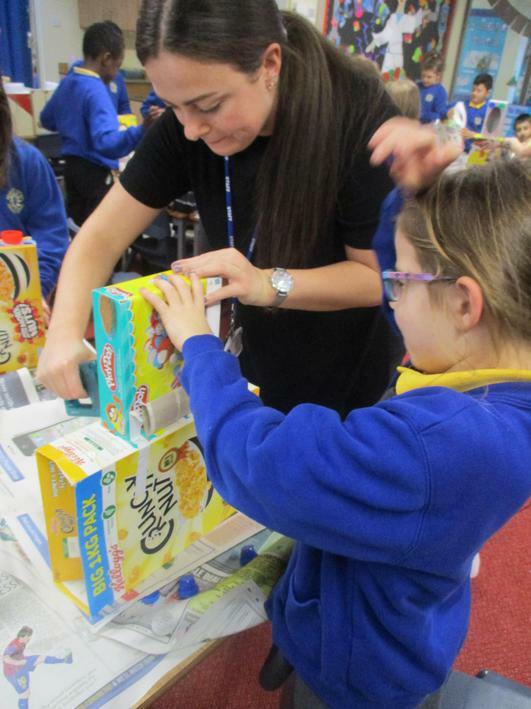 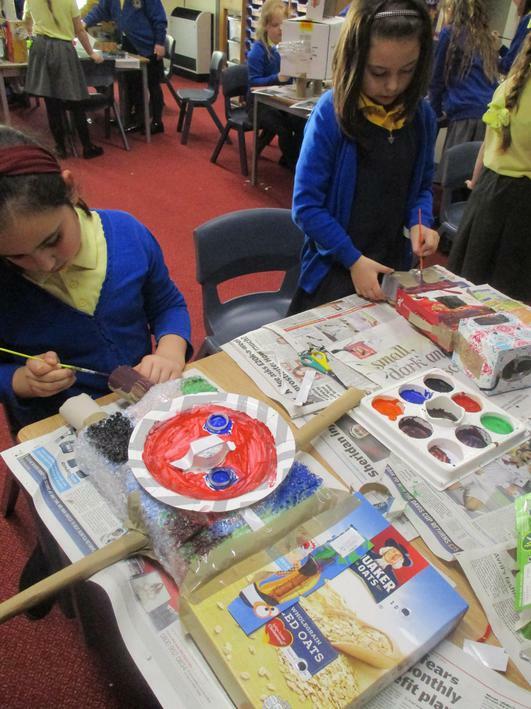 Their final designs were fantastic and the children took a lot of care and precision when making them.